A banner year for the veteran special teams ace as he appeared in all 18 regular season games for the third time in his career notching a team-high 23 tackles (2nd in CFL) and in the process, set a new club standard in the category which now stands at 158. 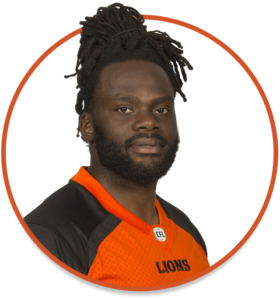 Yet another strong season for Jason as he added 17 more special teams tackles to his now all-time BC Lions best total of 135. He continued to see time on defence as well with three tackles and a forced fumble. He played in all 18 regular season games for the first time since his rookie season and added a special teams tackle in the Western Semi-Final at Regina. A significant stepping stone in 2012 for Jason as he saw extensive action on defence for the first time in his CFL career. 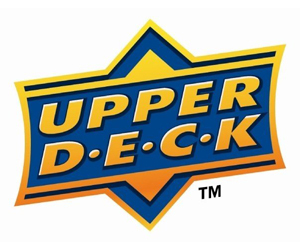 He posted a career-high with six defensive tackles including four vs Winnipeg on Aug 24/12 and also had a career-best seven total tackles in that win over the Bombers. Jason finished second on the club with 16 special teams tackles with at least one in 12 games. 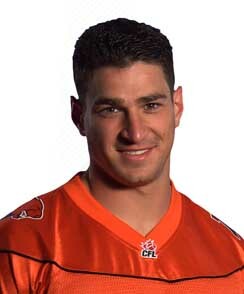 Jason played in 16 games during 2011 along with the Western Final and his first career Grey Cup contest. He was one of a group of seven Lions players with at least 10 special teams tackles in what was a highly competitive kick coverage unit. He finished in a tie for 15th spot in the league’s ST tackle rankings. Jason also made his first career start on defence in the regular season opener. 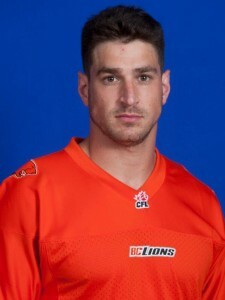 Jason had an enjoyable season with the BC Lions, he appeared in 17 games and the West Semi-Final. He ranked fourth in the entire CFL with 21 Special Teams Tackles. Jason had a least one special teams stops in 13 games, as well as two or more on several different occassions. 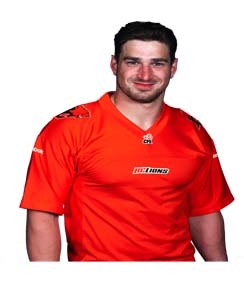 In week 5 in Edmonton he had 3 special teams stops, and two fumble recoveries too make it his top performance in 2010. In his second season with the Lions, he has racked up 67 special teams tackles including 35 in 2009. He became the first coverage player to ever receive a divisional award as Most Outstanding Special Teams Player. Arakgi earned a West Division All-Star nod for the first time in his career despite having to play through an injury in the last three games of the season. Jason joined the Lions in 2008 out of the third round of the CFL Draft and had an immediate impact on special teams downfield coverage. Led the club and the entire CFL with 32 special teams tackles recording 3 or more on 6 occasions. Added 4 more STTs in the two playoff games. Jason was an Anthropology major at McMaster and considers an upset victory over Windsor in his second year to be his most memorable college football event. 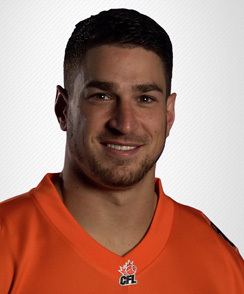 Jason began playing football at age 14 in Oakville and also played rugby in high school. 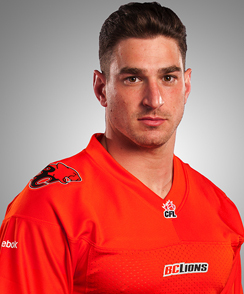 Jason is the son of Nick Arakgi, a former teammate of head coach and GM Wally Buono and is the godson of former Lions defensive coordinator Dave Ritchi.